I can’t believe it’s already almost October, time for the 10th Historical Sew Monthly challenge of the year, and time for me to be deciding (with lots of input from you, of course!) if there is going to be a HSF/M 2017! The theme for October’s challenge is Heroes: Make a garment inspired by your historical hero, or your historical costuming hero. While I may be becoming more cynical in other ways, the older I get, the more I am a fan of having lots, and lots of heroes. I just feel that you can never have too many people to admire and attempt to emulate the good qualities of. In everything I do, whether it’s cooking, historical costuming, writing, teaching, or simply being a (reasonably) nice person, I do it better than I might have because someone, in some way, helped teach me to get to where I am: and each of those people is a hero to me, and deserves acknowledgement. So the idea behind the Heroes challenge was to give us all a change to honour and highlight some of our heroes: both historically, and in historical costuming. I’ll be highlighting 5 of my historical heroes later in the week, but for now, here are some of my historical costuming heroes. First, and very obviously, someone who I hope is a hero to many of you: Janet Arnold (or, as Lynne calls her Saint Janet). 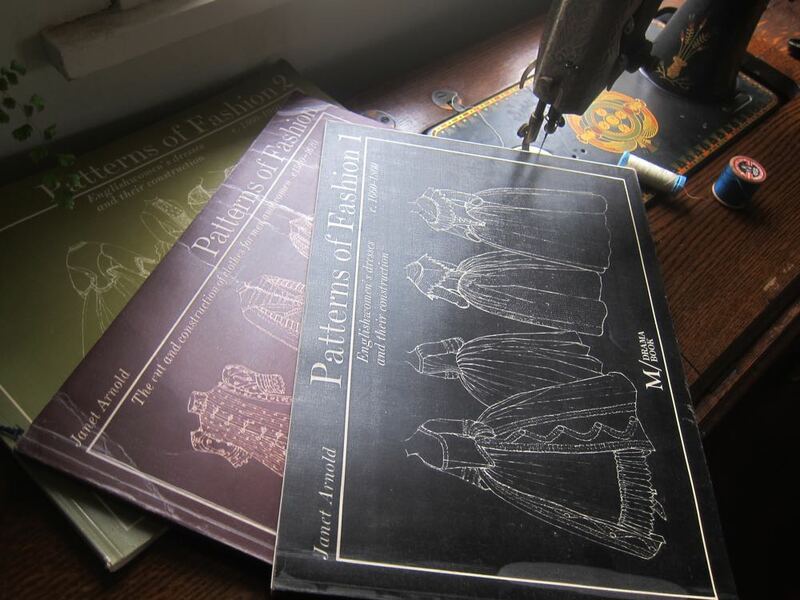 Janet Arnold’s research and patterns are still the gold standard for historical costuming books. Her books were the first pattern books I owned, and are still the first books I reach for when researching any era she covered. How much poorer would the historical costuming world be without these women’s works? There are also lots of living costumers, who are my heroes for the beautiful work they do, for how much they have influenced and improved my own costuming (and prevented me from so many mistakes) and for how much they have given to the costuming community. Drea Leed of Elizabethan Costume was my first introduction to the wonderful world of online costuming: her research and links dress diaries (in the early days of such things), along with Jen’s (below) gave me the confidence to attempt an 1540s Flemish dress, and while I haven’t done much Elizabethan costuming since, I’m still hugely grateful for her efforts in making it accessible to beginner costumers. 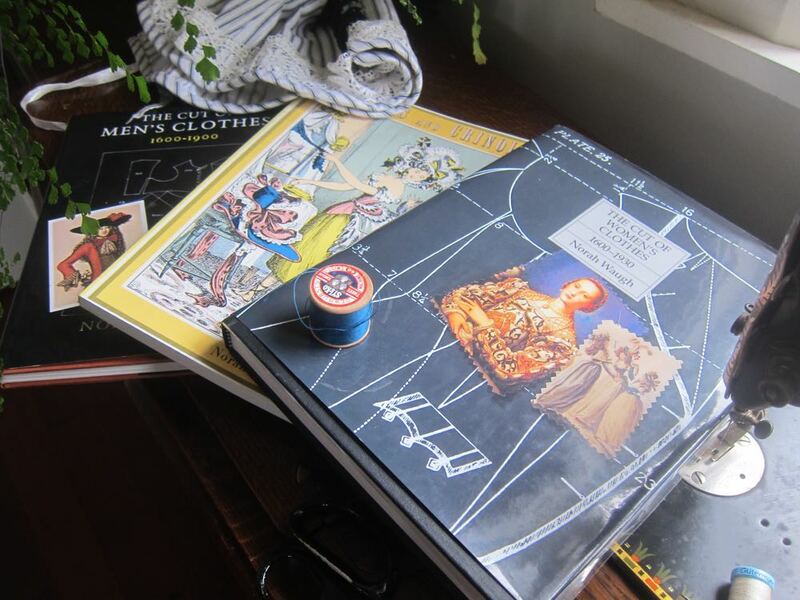 Jen Thompson of Festive Attyre was equal parts responsible for my first historic costume, and her creations, research, and instructions have inspired me in so many eras ever since. Kendra of Demode. I’ve been following her blog/website for almost 15 years now, and her website and dress diaries were my first online stop for half a dozen of my projects. I hugely admire how some of her creations are very historical, and others are purely for fun and aesthetic, but all are beautifully made. Sarah of A Most Peculiar Mademoiselle makes everything that she creates, no matter how simple, with thought, and research, and precision. Her work reminds to me find delight in small things, and that an outfit doesn’t have to be a frilly princess gown to be a thing of utter beauty. Lynne doesn’t have a blog, but your probably recognise her name from all the comments and encouragement she leaves on mine, and the HSF facebook page, and countless other blogs. Lynne is my hero for showing how much you can help create a costume, even if you aren’t there to do any of the physical work. I feel the world is a little bit better every time I see one of her comments! Miriam of In My Lady’s Chamber does the most impeccable research, and her eye for detail is fantastic, as is her ability to apply it within a wider context. Because I’m a fan of so many heroes, I don’t expect any of them to be perfect in every way. I can assemble a full set of virtues and admirable attributes, without putting the burden of absolute perfection on anyone. Historical figures are my heroes for their actions in certain situations, but rarely would I try to act like them in every way, or say that everything they did is worthy of respect. Many modern historical costumers inspire me, but I don’t need to copy everything they do to see them as a hero. Being inspired by them doesn’t mean I try to make exact replicas of the things they do: it means I take their amazing work, and try to apply the research, or tutorials, or philosophy, to mine, in order to create a better item. So here is to all the people, published, and not; living or gone; famous or just quietly, secretly, fabulous; who have helped to make our costumes bigger, better, more beautiful, and more accurate! Let’s take this opportunity to make an item that honours them, and their contribution to our work. Meanwhile, I like your “new” sewing machine – how does it sew? I love mine, which I believe is a mere year younger than yours. Aww! You made my day! Thank you! You’re one of my historical costume blogger heroes, too! And you are also perfectly lovely! This is a lovely post. Wonderful to hear who inspires you, and such a good reminder not to expect our heroes to be perfect. I’m looking forward to your historical heroes. A very interesting list, thank you. I am incredible lucky that my university professor and PH.D. supervisor knew Janet Arnold personally and occasionally tells about her and how she worked and was. She has really done so much for the professional study of costume. I have sewn so little this year and did therefore not participate in the HSM, I so hope you will continue because I love to see everyones projects, even if I am not contributing myself. But I can imagine that it is a lot of work for you and I can totally understand that you need to consider if and how to continue. Previous PostA Call for Pattern Testers – would you like to test new Scroop patterns?